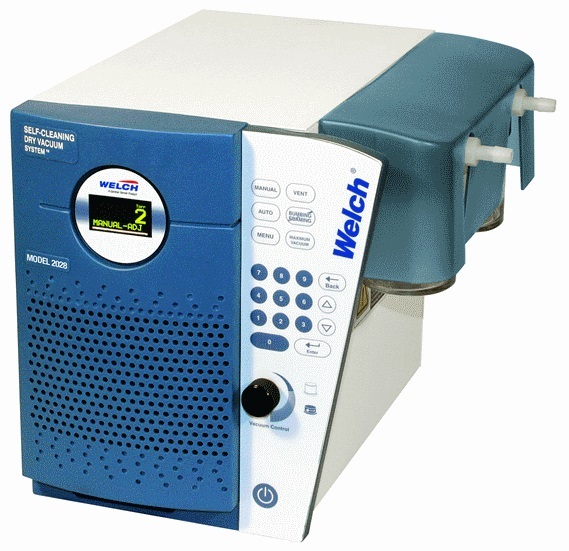 The DryFast Model 2025, DryFast Ultra Model 2027 and the DryFast Ultra Model 2028 are dry diaphragm self cleaning vacuum pumps with vacuum regulators built in to make them the ideal solution for rotary evaporator work. 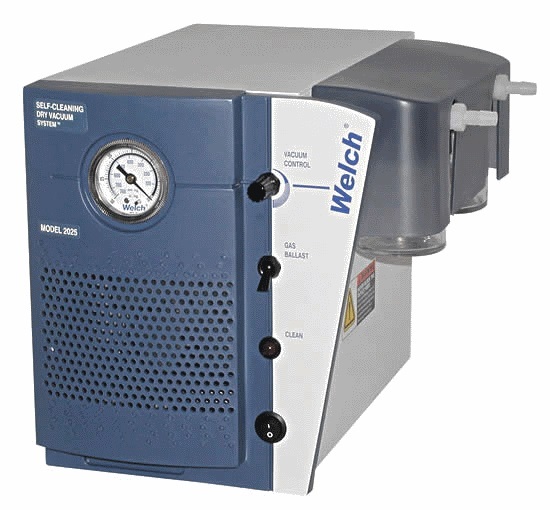 Constructed with solid PTFE heads, PTFE diaphragms, Kalrez® valves and utilizing fluorinated plastics on all wetted surfaces, these dry vacuum pumps are designed to meet challenging chemical duty laboratory needs. DryFast self cleaning vacuum pumps are perfect for rotovaps, concentrators, filtration units, vacuum ovens, gel dryers and other laboratory applications involving harsh vapors.